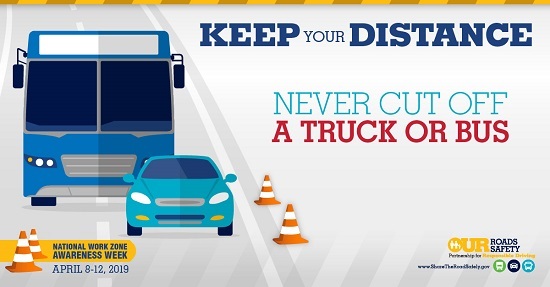 Highway road construction zones are a dangerous place, an area where accidents are more likely to happen. Workers perform their jobs in a high-risk environment as multi-ton metallic vehicles speed by them all throughout their shift. 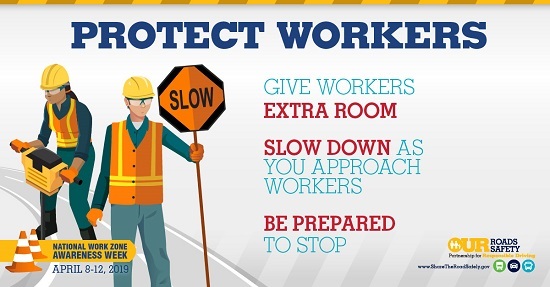 But despite the vulnerability of the road workers, drivers are the most frequent fatality in work zone crashes. 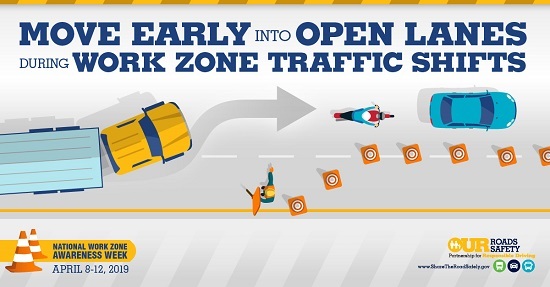 Between 2016 and 2017, fatal crashes in work zones increased by 3 percent while fatal crashes outside of work zones decreased by 1.5 percent. 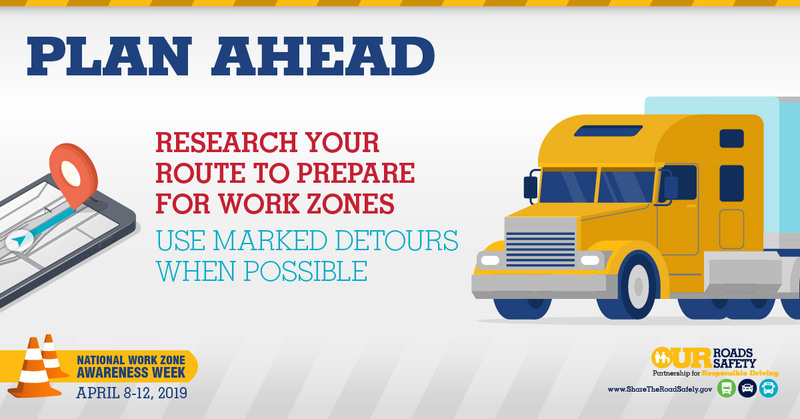 Work zones are a highly dangerous and unpredictable environment for drivers, who encounter narrow lanes, sudden stops and traffic pattern shifts. Work vehicles can be entering and exiting. 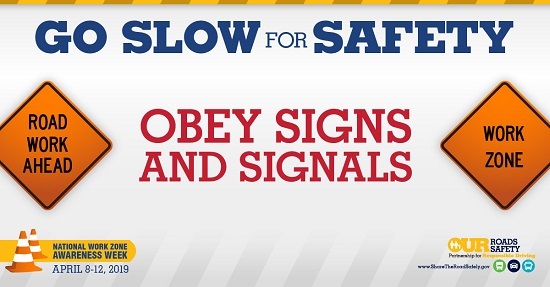 Normal road markings may be obstructed, replaced by unfamiliar signage. Paved shoulders are not in place. 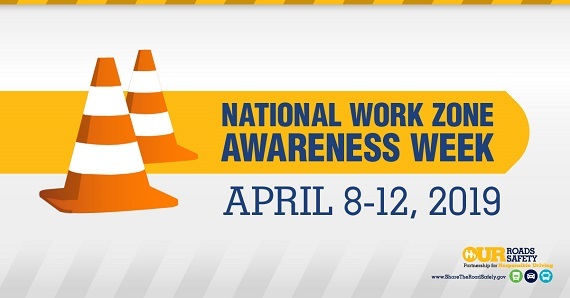 This week marks National Work Zone Awareness Week, April 8-12 – a campaign to raise awareness about the risks for workers and the general public alike, and to offer a reminder to “drive like you work here” around work zones for the safety of all. 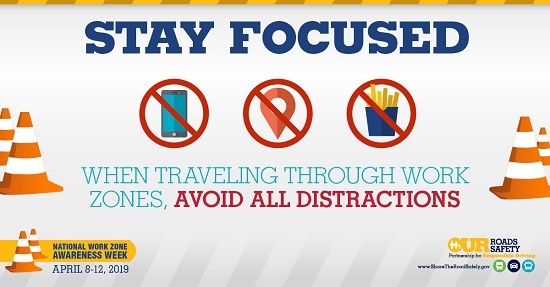 Here are infographic tips from the Federal Motor Carrier Safety Administration – copy them and share them on social media.